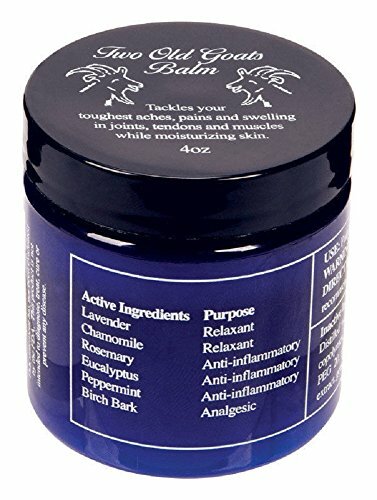 Two Old Goats Foot Balm relives your toughest aches and pains caused by swelling due to arthritis, fibromyalgia, inflammation gout or injury. Foot Balm’s thicker formula helps giving instant relief in feet. The goat’s milk base carries a natural blend of 6 Essential Oils that penetrates deep into your joints, tendons and muscles while keeping your skin moisturized and nourished. Its profound effective formula provides relief within minutes of application. The best pain management routine that will keep you active all day long. If you have any questions about this product by BW Skin Care, contact us by completing and submitting the form below. If you are looking for a specif part number, please include it with your message.